I have been completely remiss in blogging the last two weeks, but I refuse to let another non-blogging day go by. Recently I had the pleasure to photograph (and sample) several amazing drinks and dishes at local restaurant, Below the Radar. 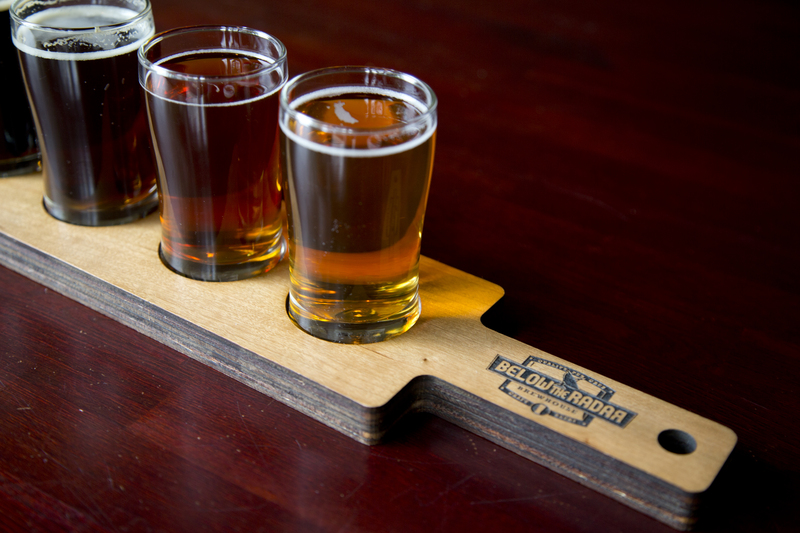 The restaurant is currently about to start brewing beer on their premises, which is very exciting for the hop heads of Huntsville, Alabama. They also rolled out their spring menu, and North Alabama folk, it is great so go today. All of the food was excellent, but the tofu stir-fry dish was amazing. Even the most die-hard carnivore will love it. 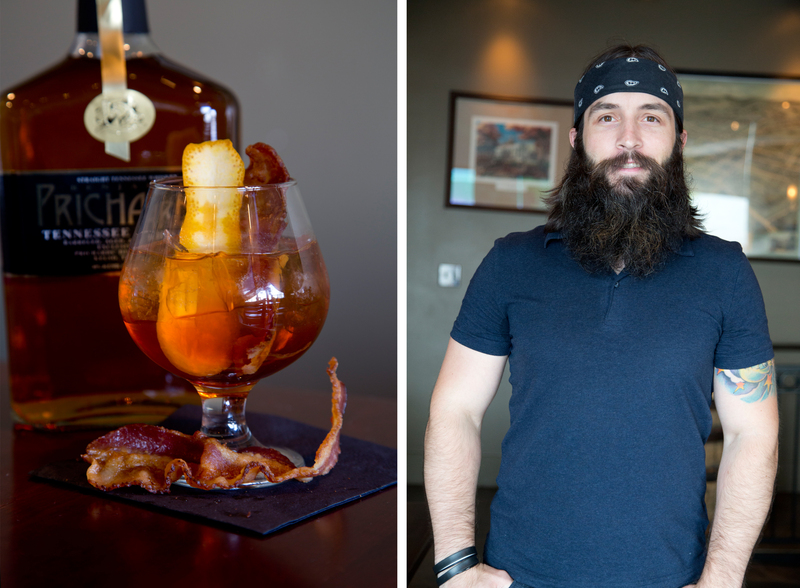 But the star of the show was the Bacon Old-Fashioned created by Bar Manager Chase Shelton. Chase was kind enough to share his recipe with me. 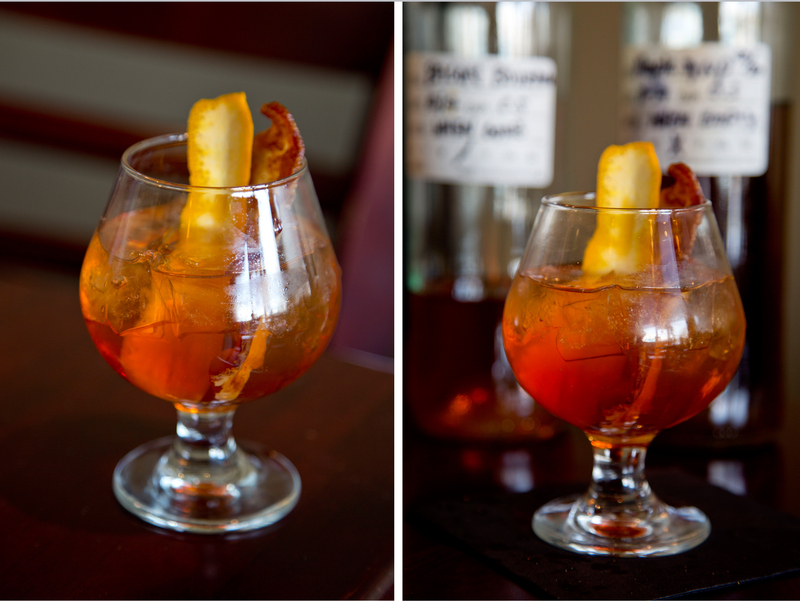 Find the smokiest bacon you can find….I prefer Benton’s or Nueske’s, both of which can be ordered online. Well worth the investment! Note: cut orange twist wide and long so that you can squeeze the essential oils over the glass once complete. If you would like to get more recipes pick up a copy of Huntsville Event magazine or visit their website. 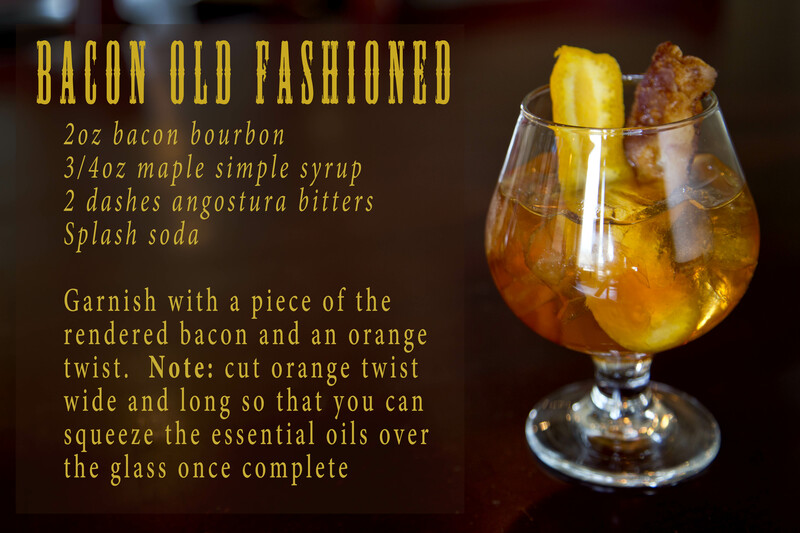 Categories: Recipe | Tags: alabama, bacon, bacon old fashioned, below the radar, bourbon, cocktail, huntsville, North Alabama, old fashioned, recipe | Permalink. Yum — that looks fantastic! Also love the bacon recs — two of my absolute favorite brands. Smokey porky goodness. I’m not huge on bourbon but I’d give this a try for sure! Thank-you! The drink wasn’t too bourbon-y so you may still like it. But be aware the drink was VERY easy to drink and pretty strong, so it could get you in trouble if you don’t pay attention.